Alkenes hydrohalogenation involves forming a carbon double bond by breaking a single bond, which is again followed by halogen having hydrogen added through an electrophilic addition. Then the substituted carbon will have a halide added with the help of Markovnikov’s rule. The result obtained is a haloalkane product known as alkyl halide. Nucleophilic pi bond targets for the electrophilic H bond in the H-X reaction, which results in breaking of the pi bond. Through Markovnikov’s rule, H adds up to the less substituted atom of carbon. This causes a deficit of +1 charge in the more substituted atom of carbon. This provides room for negative halide to form a bond by attacking carbcocation. Finally, what is left is a haloalkane called alkyl halide. Keep in mind that an inert solvent is a must to carry out the entire reaction. The H-X molecules observed around such as H-Cl, H-Br, and H-I are absolutely high polar. This means that you can expect the electrons between hydrogen and halogen getting hogged because of the tendency of halogen that is highly electronegative. Hence, halogen becomes partially negative, making hydrogen partially positive. Because the pi bond is present at extreme ends of carbon skeleton, they are conveniently distracted by other neighboring molecules. And since, electrons get attracted towards the positive charge, they will possibly look out and reach the electrophile passing by that is positive or even partially positive. As soon as an H-X bond passes by alkene, pi bonds get attracted towards hydrogen atom that is partially positive. To trade for the hydrogen atom, out of two any pi electron has to let go off the carbon atom already present in the bond. Now by applying Markovnikov’s rule, carbocation takes place with the more substituted carbon atom. Now since the less substituted carbon atoms haven’t released the electrons, they are singly bound to hydrogen. However, hydrogen can form only a single carbon bond. Hence, halogen acquires the electrons from less substituted carbon atom, and gets floated away in a solution full of negative charge as well as complete octet. Remember, negative halogens are known as nucleophiles and they get attracted towards electrophiles that are positive. Hence the alone halogen loses electron pairs to attract carbocation forming a sigma bond. Because carbocation took place with more substituted carbon, halogen winds itself with that carbon atom. Solvents play a big role in dissolving reagents as well as reactants without actually hindering the actual process. For this particular reaction we use non polar protic inert solvents such as CCl4, CHCl2, and more. When halide breaks away from hydrogen, the role of halide comes into play. A cage like thing is formed all over negative halogen when the solvent makes use of its partially positively charged hydrogen atoms. Hence, carbocation is prevented by letting off halogen. In fact, what happens is a one of the solvent molecules uses electrons in order to confront carbocation. Still have a lot of doubts on how the whole process is taking place? 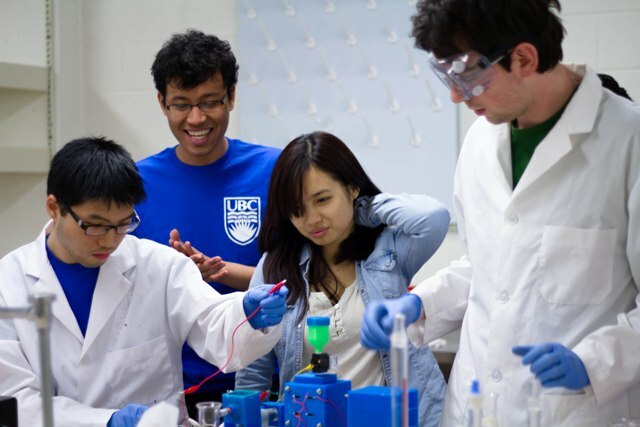 Well, you can surely consult your online chemistry tutoring firm, or an independent online chemistry tutor to help you out in clearing all doubts related to chemistry homework help. Periodic table is the table of elements categorically organized to give information about the elements. It is very essential for a firm grasp of basic Chemistry. The first elemental table was published by the Russian professor Dimitri Mendeleev in 1869. He categorized 63 known elements based on their properties like atomic weight. In 1913, Henry Moseley found out that the order of elements depends upon the number of protons in the atom and not on atomic weight. The groups or families in the periodic table are shown by vertical columns. Each family has 18 columns with 1 through 18 numbers. 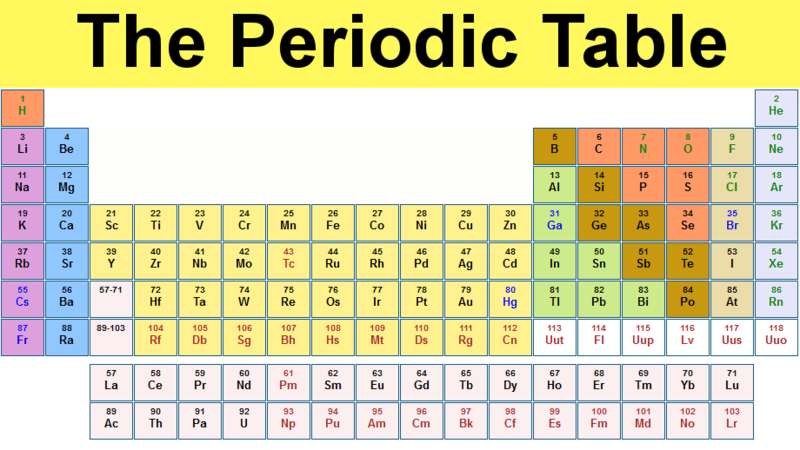 The periods in the periodic table are shown by the rows of the table and labeled by 1 through 7 numbers containing elements that increase in atomic weight from left to right. Blocks are another kind of categorization. Blocks are shown by making rectangular like sections in periodic table. You can categorize the elements by way of metals, non metals, and metalloids also. Metals are split into six types like alkali, alkaline, lanthanides, actinides, transition and post transition. Non metals are categorized into three like noble gases, halogens and other non metals. There are only a few metalloids in periodic table. And they are placed between metals and non metals. Since there are new elements found by the scientists day by day, knowing periodic table helps students gather fundamental knowledge in basic Chemistry. It is also advisable to approach online Chemistry tutors for this purpose and get to know more about the elements and how they are categorized in the periodic table. Not only periodic table, other interesting topics and more intricate ones can be easily understood by students with the help of tutors in online Chemistry tutoring via smart strategies and useful tips. The tutors in their personalized sessions are able to throw light on the complex topics with easy to understand methods and help students improve their scores in Chemistry.